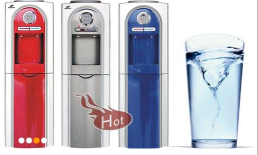 Feter is a professional enterprise integrated with production and marketing of Water Dispenser,Water Purifier, and RO machine.It owns a high quality team of quality & technology management and quality assurance as well as vast marketing network and one strong marketing team; possesses advanced testing equipments, production equipments and production lines. Annual production capacity for water dispenser is 800000pcs,water purifier is 500000pcs,RO machine ,piping dispenser etc is 300000pcs. The company continuously introduces the advanced automatic numerical control equipments for specially manufacturing the drinking water machine. 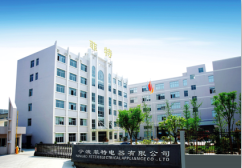 The company set up completed production & development departments and the quality of products had reached or exceeded the national standards and met the international standards concerned and product was awarded.The company had passedCE,GS,EMC,ROHS,CB,SASO,SONCAP and passed the ISO9001(2000) International Quality System Certification and the production management and sale are implemented strictly in according with the international quality system standard during production period. 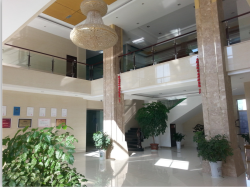 Its products sell far to all around China and to more than 40 countries and regions such as South America, Southeast Asia, Africa, Middle East, Europe, and so on. We always adheres to the business philosophy of "Science & Technology being forerunner, quality being the basis of victory, faith being essence and customer foremost" in the fierce competition.